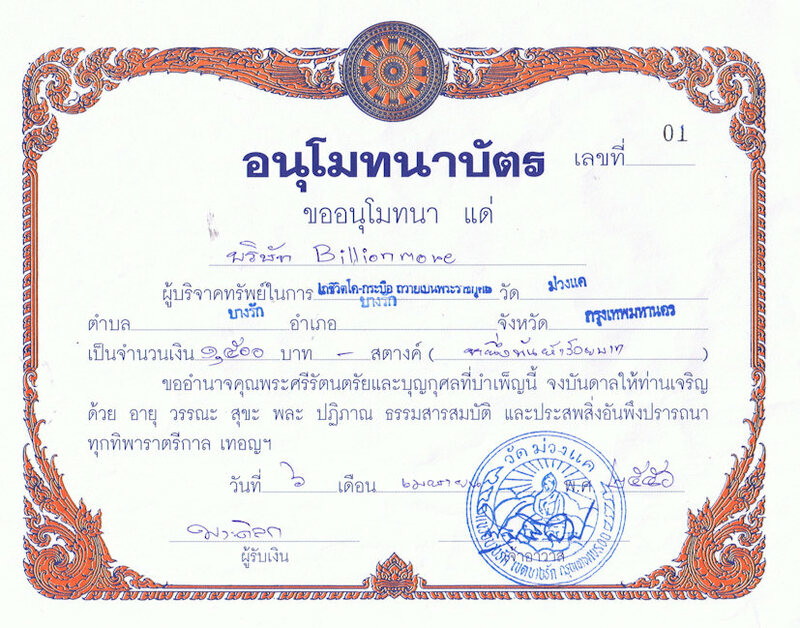 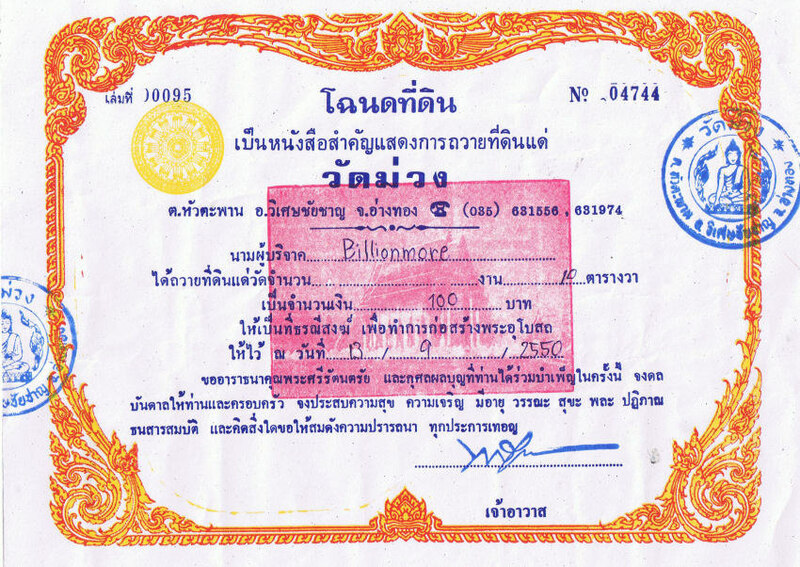 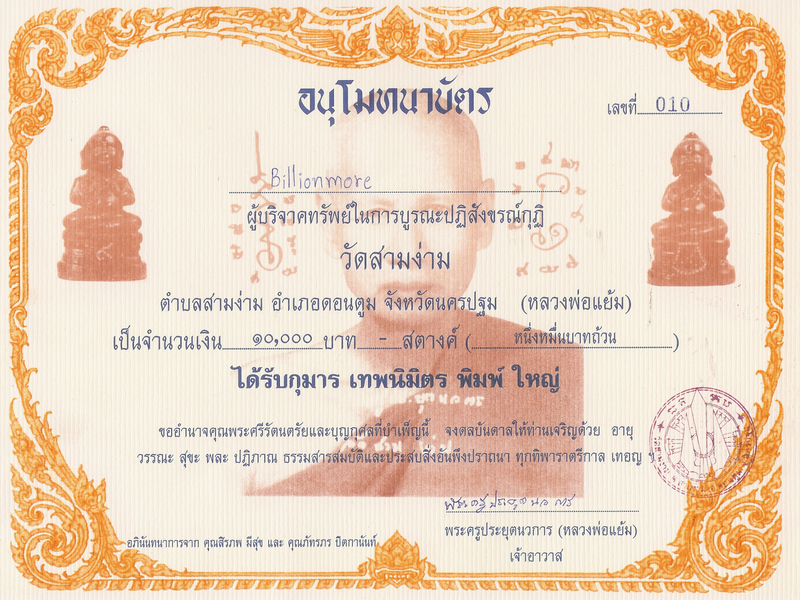 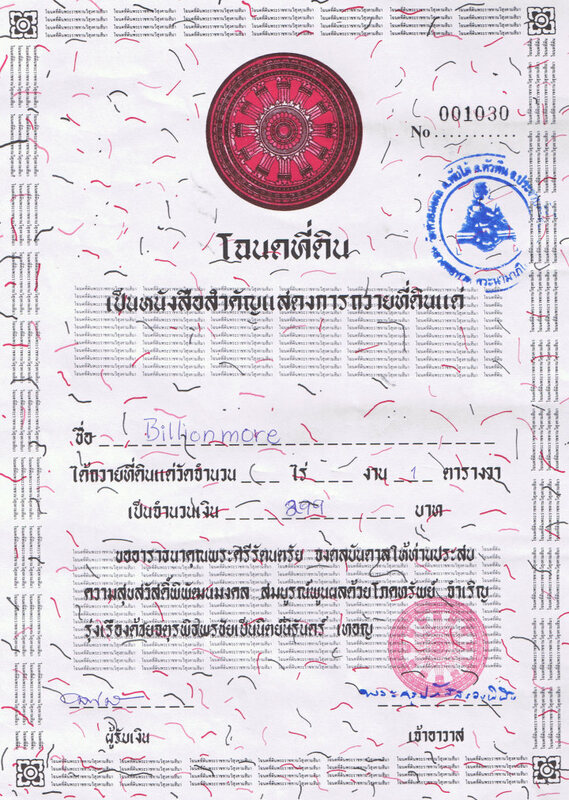 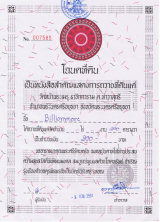 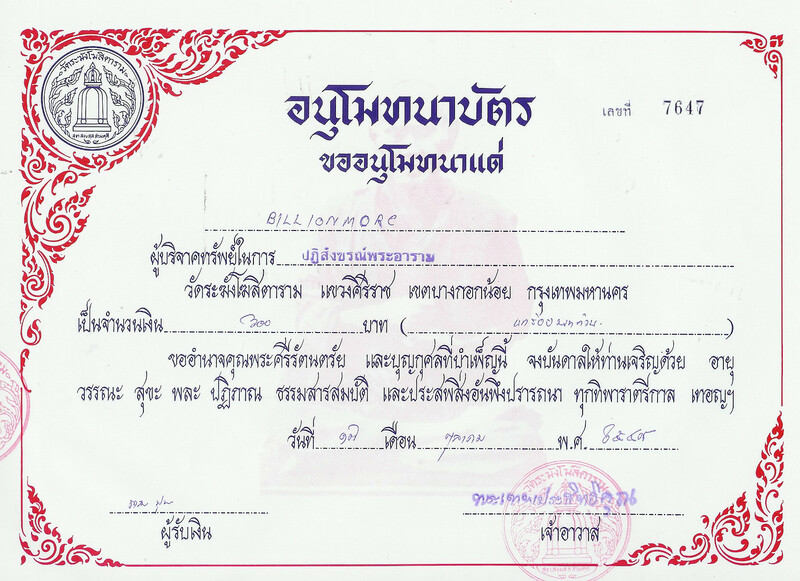 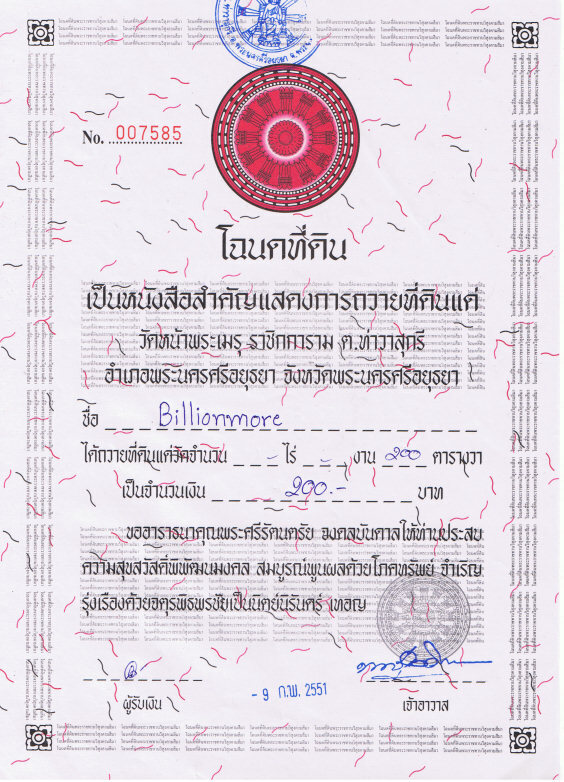 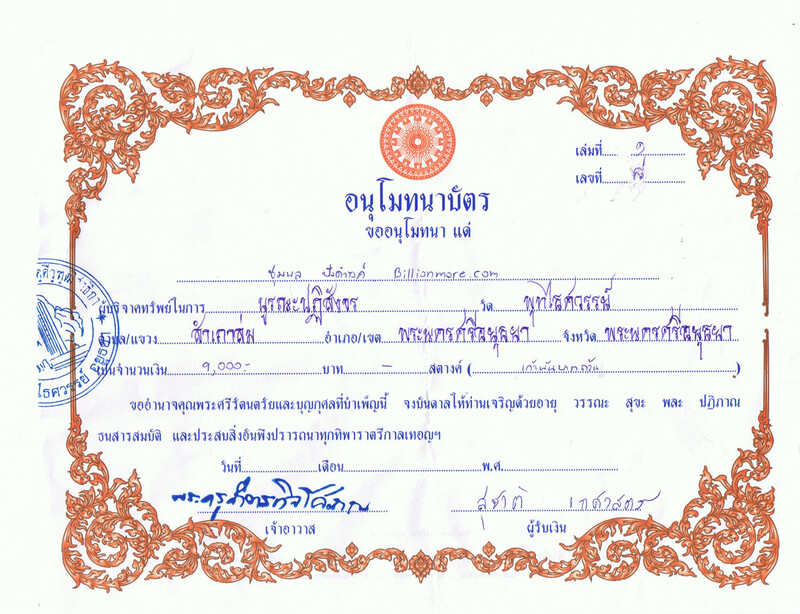 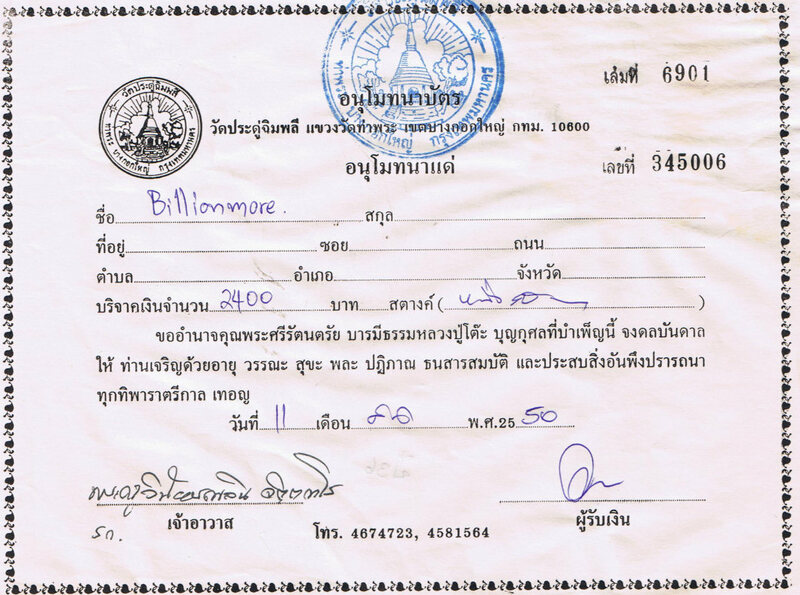 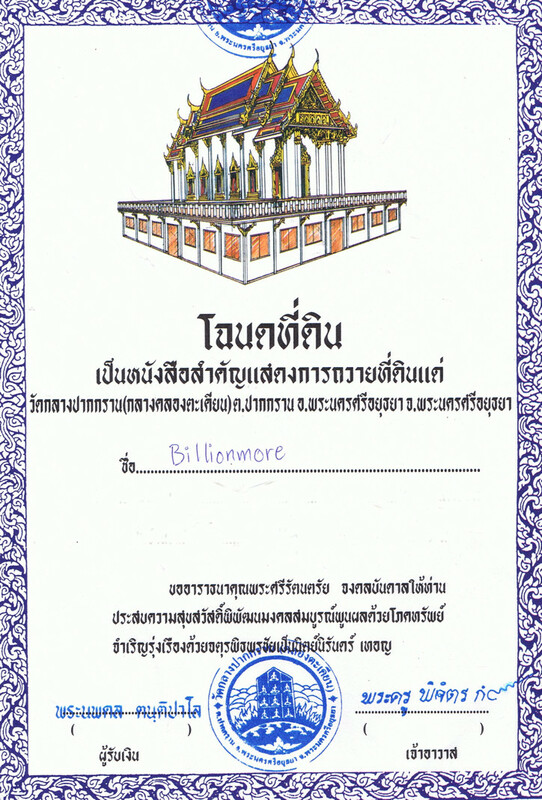 Purpose of Making: To contribute the fund of building the sermon hall in a monastery at Wat Bansuan, Phatthalung Province. 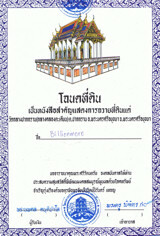 Ceremony: The consecration ceremony took place on the 31st March 2012 at Wat Bansuan, Phatthalung Province by LP Monthon of Wat Khuhasawan, LP Iad of Wat Khokyam and guru monks in Khao-or style of studying magic. 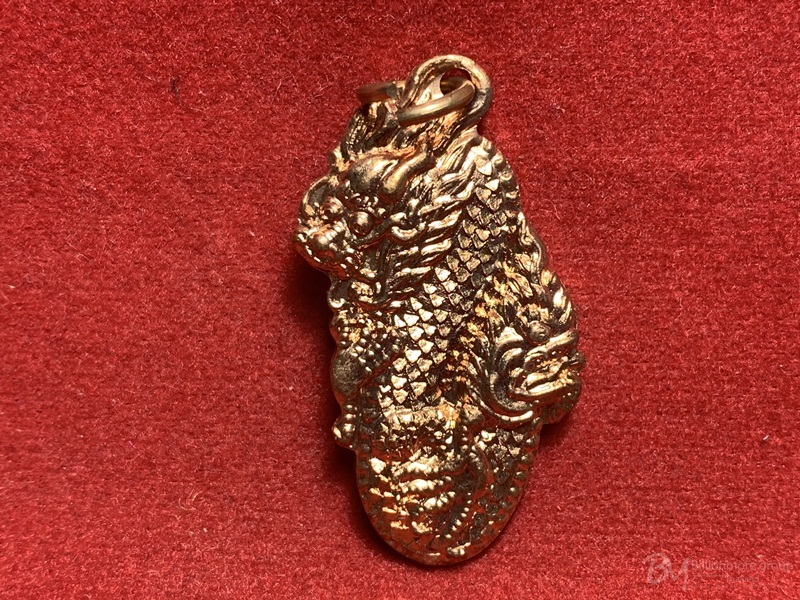 Powerful: This Takrut can bring auspicious things, great protection and good luck to life of the owner. 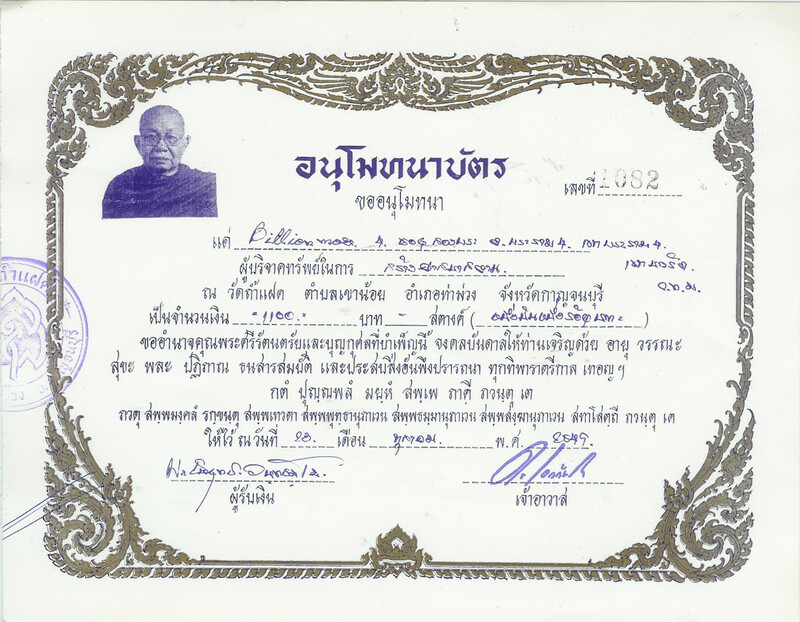 LP Phrom Khanti Ko or “Phrakhru Khan Taya Phon” of Wat Ban Suan, Phatthalung province. 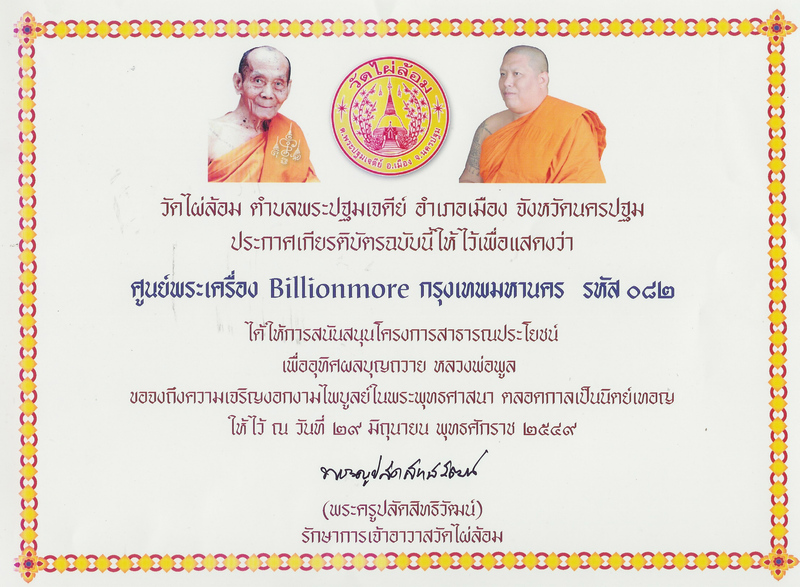 LP is the well kwon monk and expert in the magic and the topmost monks in southern of Thailand. 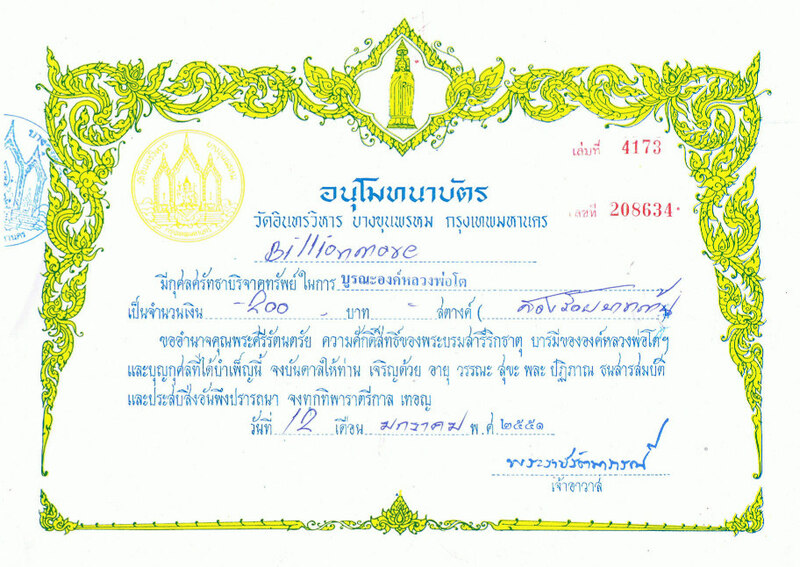 LP studied the magic from Khao O Samnak Tak Sila (the school of magic). 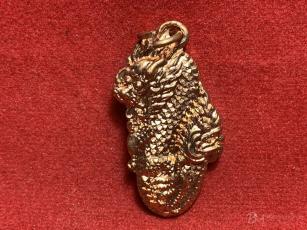 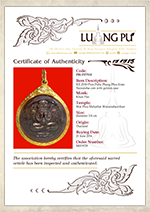 Wat KowOor has more than 120 year history of making good Amulets. 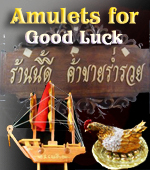 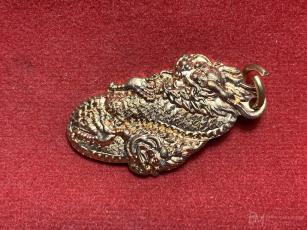 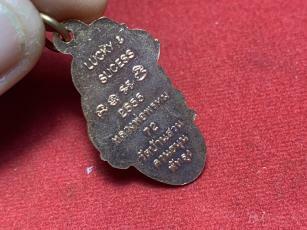 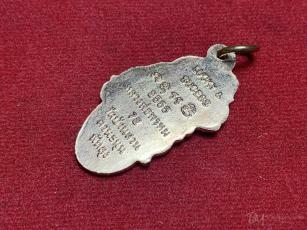 Most of the believer’s considered that the Amulets carry protective powers. 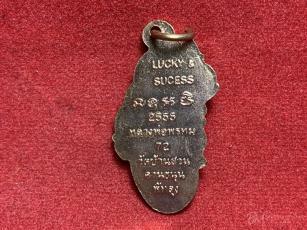 Also, many holy monks has been studied the art of making efficacious amulets and magic from this temple, as LP Tow, LP Ied, LP Num, LP Ngurn of Wat DaunSaLa, LP Kong of Wat BanSuan, LP Pah, LP Glun of Wat KowOor and Arjarn KunPan (layman) etc.